Get a free diagnostic on the spot to repair your PC. The turn-around time depends on the cause of the issue, but you need your computer fixed right away and we will make that happen for you. Whether you prefer a free in-shop diagnostic first or on-site visit, we will accommodate you. We will work around your schedule. You may schedule for one of our PC Repair service experts to come to your home or office, as early as same day. Or you may drop in anytime at our PC / Mac repair shop at 2280 E Dorothy Ln., Kettering, OH 45420. Either way, you will get an experienced, professional technician to repair your computer. Why choose DNA Computers over the competition? DNA Computers has proudly served the Kettering and Greater Dayton Area since 2009. That is over a decade of proud service to our customers and community. Our #1 business goal is to provide excellent service to every customer, every single time. We strive to provide 100% excellent customer service. Our skills and expertise in finding and repairing laptops, desktops, Mac, PC, and Gaming computers is unmatched in the Dayton area. We are proud to be Your Friendly Neighborhood Computer Store! Why is DNA Computers better than your PC manufacturer? If you’re thinking of Dell, HP, Lenovo, Sony, Toshiba, Acer, Asus or another PC manufacturer, think again. In most cases, you’ll need to ship your computer into the repair depot. This is only a good service if you have 2-4 weeks to spare. 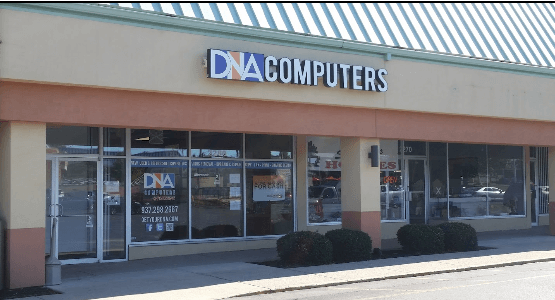 On the other hand, if you want to fix your computer QUICKLY without any hassles, go to DNA Computers for the best Microsoft repair service in the Dayton area / Miami Valley. Our PC technicians are qualified to work on all the major manufacturer Windows laptops and desktops, and are able to begin fixing your computer as soon as you ask us to. No red tape, no overcharging, and no tech speak. Instead, you’ll get straightforward PC repair service and costs.